Natalie has an extensive immigration and asylum practice with a crossover into family law with international and immigration aspects. Natalie has an extensive immigration and asylum practice, including complex multi-issue cases with extensive country and/or medical evidence and judicial review. She is one of the few barristers in the North and Midlands with a specialisation in international family law and who is able to offer comprehensive representation to clients with both immigration and family law issues. Her previous experience at Garden Court North Chambers also includes employment and discrimination, inquests and prison law. Natalie studied law at the University of Cambridge, where Pembroke College awarded her a scholarship to spend a year studying at Occidental College in New York and Los Angeles. She completed a masters with distinction, taking a double concentration in International Relations (specialising in conflict management and international law) and International Economics at the Johns Hopkins University School of Advanced International Studies (SAIS) in Bologna, Italy and Washington DC. Natalie was awarded a Major Scholarship from Inner Temple to complete the Bar Professional Training Course (BPTC) at Kaplan Law School, for which she was graded Outstanding. She completed pupillage at Chambers in October 2014 under the supervision of Rory O’Ryan. Before coming to the Bar, Natalie was a consultant on the small arms and light weapons team at the United Nations Office for Disarmament Affairs in New York and worked in Juba for the United Nations Mission in South Sudan and the United Nations Development Programme in the former Southern Sudan (on its project to support the referendum for independence). She has also volunteered for peacebuilding and human rights NGOs in Uganda and Kenya and is particularly interested in conflict-affected areas and sub-Saharan Africa. In the UK, Natalie has previously volunteered for Asylum Support Housing Advice (ASHA), Reprieve (secret prisons and extraordinary renditions team) and the Kingston Legal Centre. She has been a national committee member of Young Legal Aid Lawyers since 2015 and coordinates YLAL’s groups outside London. She is a trustee of the Omega Research Foundation, which specialises in research and training in accountability and human rights issues related to military, security and police (MSP) technologies. Natalie represents appellants in the First-tier Tribunal and Upper Tribunal (Immigration and Asylum Chamber) and advises in all areas of asylum and immigration law, including nationality, human rights, statelessness and EU law, representing clients from two dozen countries in the first nine months of 2017 alone. Her academic and work background in international relations and development means she is adept at handling and presenting large amounts of country evidence in asylum and human rights appeals. Natalie accepts pro bono instructions through Bail for Immigration Detainees and has experience of detention-related casework from time spent at a solicitors’ firm in London prior coming to the Bar. Natalie has significant experience representing vulnerable clients, including unaccompanied asylum-seeking children, victims of torture, victims of trafficking, and clients with serious mental health problems. 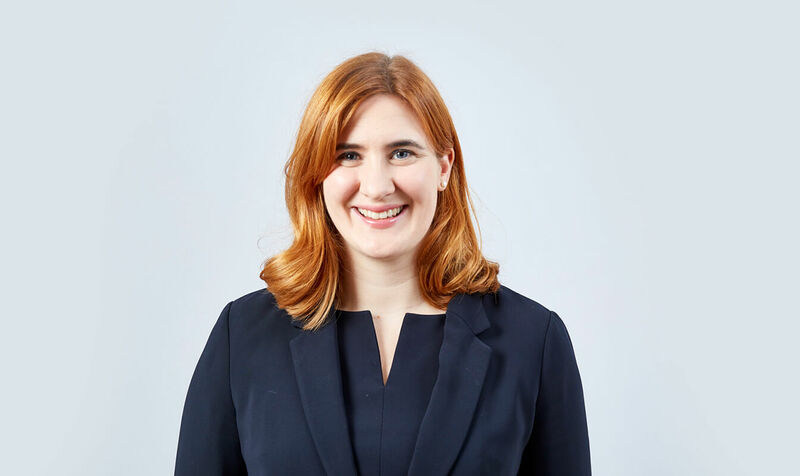 Natalie also has wide-ranging experience of immigration judicial review, including delay, fresh claim and certified as clearly unfounded, third country, domestic violence, age assessment, deportation, unlawful detention and urgent removal cases. Natalie contributed to Chapter 5: Common Travel Area, Crew Members and Exempted Groups and Chapter 9: Students in the latest (9th) edition of Macdonald’s Immigration Law and Practice. She regularly speaks at immigration law seminars on topics such as EEA law developments, Article 3 ECHR medical cases, and disputed nationality in asylum appeals. Natalie can advise on family law issues in immigration cases (and vice versa) and can represent clients in both sets of proceedings. Natalie acts in all areas of family law, with a focus on children law, domestic violence, and relationship breakdown where immigration or international issues are involved. She can advise on children’s nationality status and/or routes to secure their status in the UK. Natalie accepts instructions in cases with a human rights and/or international dimension, including international relocation, international abduction, forced marriage protection orders and female genital mutilation (FGM) protection orders. She is available to make emergency applications. Natalie accepts instructions public law related to her immigration practice. She has a particular interest in claims relating to delay in immigration decision-making and has undertaken a large number of judicial reviews concerning the refusal of fresh claims, PBS (points-based system) applications, DVILR (domestic violence) applications and the certification of protection and/or human rights claims as clearly unfounded or on a third country basis. Natalie previously specialised in urgent removal and unlawful detention cases as an immigration caseworker in a major law firm and can provide practical advice on procedure as well as grounds. Natalie has a broad housing law practice encompassing possession proceedings (rent arrears and anti-social behaviour), injunction and committal proceedings, homelessness appeals, disrepair claims, tenancy deposit issues, and unlawful eviction claims. She represents clients up to the enforcement stage including applications for charging orders and freezing injunctions. Natalie is experienced in defending applications for injunctions and breaches of injunctions. Justice Gap, ‘Legal Aid, Labour and pushing for a “manifesto of hope”’ 26 September 2014. Natalie’s Privacy Notice may be viewed by clicking here.